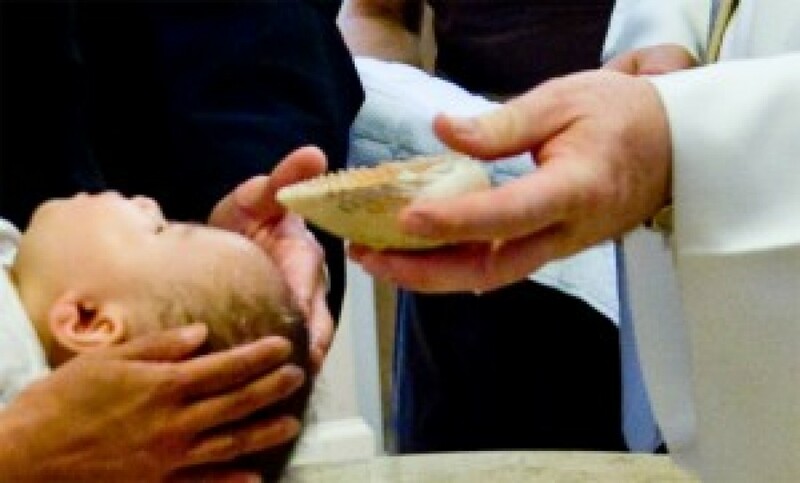 For Catholics, the Sacrament of Baptism is the first step in a lifelong journey of commitment and discipleship. Whether we are baptized as infants or adults, Baptism is the Church’s way of celebrating and enacting the embrace of God. Holy Baptism is the basis of the whole Christian life, the gateway to life in the Spirit, and the door which gives access to the other sacraments. Through Baptism we are freed from sin and reborn as children of God. Parents are required to attend a pre-baptism class prior to the baptism of their child. Classes are usually scheduled the first Sunday of each month from 2:00 p.m. to 4:00 p.m. in Room A on the Third Floor of the Ministries Building. Reservations are not necessary. Watch the Sunday bulletin for the announcement of classes or call the Church Office at 501.225.6774 for additional information. Following the parents’ attendance at the pre-baptism preparation class, a baptism may be scheduled with one of our parish priests or deacons. Call the Church Office at 501.225.6774 to schedule a time and date for your child’s baptism.